Jacksonville Mayor Lenny Curry and Florida Gov. 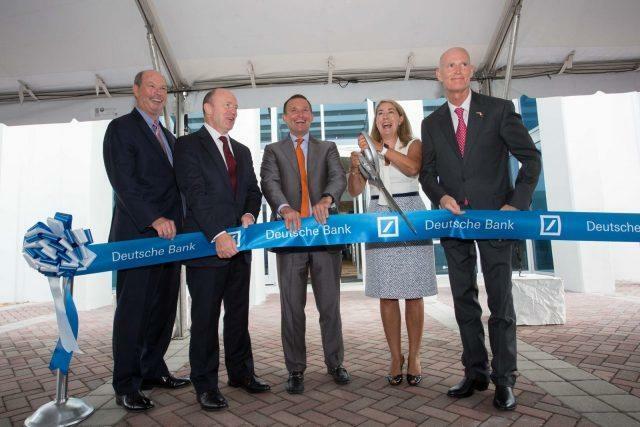 Rick Scott cut the ribbon on a Deutsche Bank expansion in the River City two years ago. The National Fair Housing Alliance alleges the bank let foreclosed properties languish in minority neighborhoods, while keeping others in white areas up to code. The president of the advocacy group, Shanna Smith, said bank-owned homes the group identified drove down property values in communities of color. “So in 2009 we decided to look at the foreclosure crisis from the perspective from the banks now owning thousands and thousands of homes across the United States and asking ‘are they taking care of homes in African-American and Latino communities the same way they’re taking care of them in white communities?” She said. Smith said in 30 metropolitan areas, her team photographed homes with graffiti, broken windows, overgrown grass and unsecured doors, among other poor conditions. Jacksonville was not probed, but the group found problems in Palm Beach, Miami and Tampa. 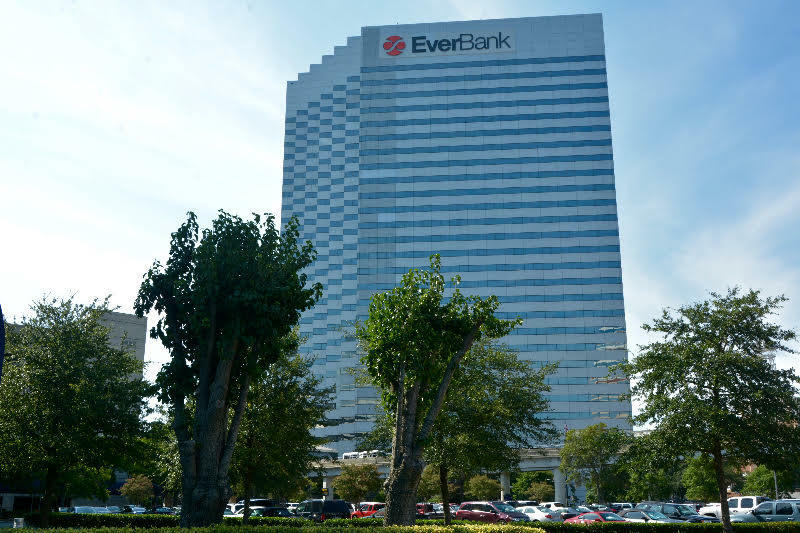 Deutsche Bank, which employs nearly 2,000 people in Jacksonville, declined to comment on the suit, but in a similar legal battle with the city of Los Angeles, the bank argued it is a trustee of pools of home loans and does not technically own the properties. Smith said that argument is built on a foundation of sand. Deutsche Bank settled the Los Angeles lawsuit for $10 million without admitting fault and recouped most costs from its loan servicers. Ocwen Financial is one of them. Banks like Deutsche have claimed in previous blight cases those servicers are responsible for not maintaining properties they manage for the banks and that’s why Smith’s group has included Ocwen, along with another servicer — Altisource, in the suit. 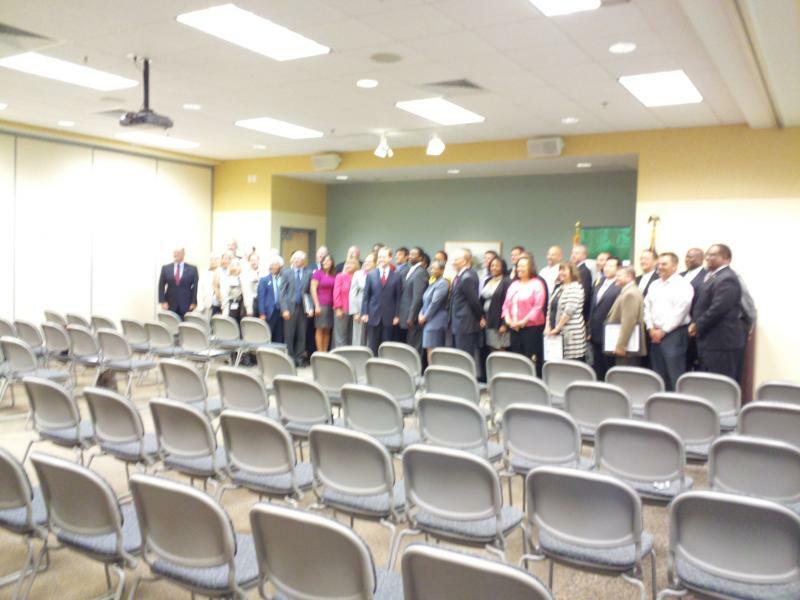 In a statement to WJCT, an Ocwen Financial spokesman strongly denied the charges and said that the company would vigorously defend itself against these allegations. Duetsche Bank is not the only bank to recently settle over similar allegations. The Los Angeles Times reported last September that U.S. Bank, in combination with its servicers, paid $13.5 million to the city of Los Angeles for not keeping homes up to date.